Harmony Roads (formerly Beyond the Veil (aka "BTV") was formed over 10 years ago as a small "sister act". 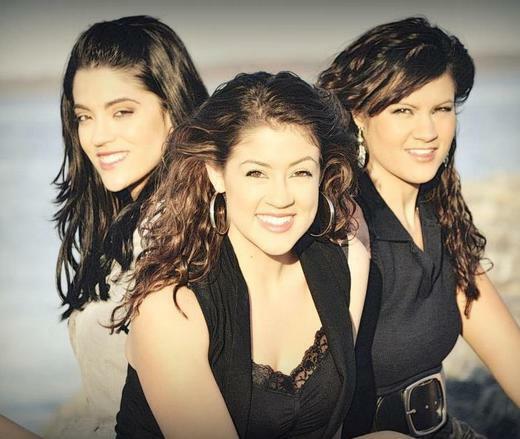 Since that time, the female-fronted group has shared the stage with notable national artists Jaci Velasquez, Dove nominated artist Krystal Meyers, rock legend Skillet, singer Coffey Anderson, plus many others. In addition to composing all of their own music, filled with telling lyrics and haunting melodies which strike a chord with today's generation, the trio also appeals to people of all ages by leading popular worship and is a favorite for National Anthem performances. Lead vocals and keys are covered by Brittany Turner. Lending harmony as well as a driving beat on the drums is the middle sister, Miriah Turner. Rounding out the complex three part harmonization and playing backup percussion is the youngest sister, Sierra Turner. Harmony Roads performs on an average 60 shows a year at coffeehouses, festivals, churches, sporting events and youth rallies. Traveling the United States coast to coast, the band is preparing to release a Christmas single and a promotional single previewing their third studio project in the Fall of 2014.